John Holdren (also sometimes referred to as John P. Holdren) is the Teresa and John Heinz Professor of Environmental Policy at the Kennedy School of Government at Harvard University and director of the Science, Technology, and Public Policy Program at the School's Belfer Center for Science and International Affairs. Holdren earned a bachelor's degree from MIT in 1965 and a PhD in plasma physics from Stanford University in 1970. He taught at the University of California, Berkeley for more than two decades. His work has focused on global environmental change, energy technologies and energy policy|policies, nuclear proliferation, and science and technology policy. Dr. Holdren served as chairman of the board of directors of the American Association for the Advancement of Science from February 2007 until February 2008(AAAS) and is director of the Woods Hole Research Center. He is the chair of the advisory board for Innovations, a quarterly journal about entrepreneurial solutions to global challenges published by MIT Press. His wife is Cheryl E. Holdren. ↑ "The search for knowledge, truth and a greater understanding of the world around us", Media Release, December 20, 2008. ↑ Members, Global Business Network, accessed November 15, 2010. ↑ 4.0 4.1 Derek Sands, "White House science adviser says new nuclear plants likely," Platts, April 30, 2009. ↑ Kent Klein, "US President-Elect Names Science, Technology Team", Voice Of America, December 20, 2008. ↑ Ginger Pinholster, Earl Lane and Edward W. Lempinen. "Science Blog Reports Obama to Name John P. Holdren as Science Adviser", AAAS, December 18, 2008. ↑ "Obama names climate change experts to posts", Washington Times, December 20, 2008. "John P. Holdren ", Harvard Kennedy School's Belfer Center for Science and International Affairs, undated, accessed January 2009. "John P. Holdren", Woods Hole Research Center, 2008. 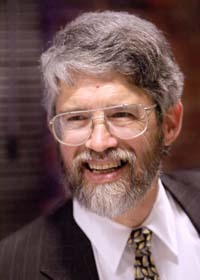 "John Holdren", Harvard University, accessed January 2009. "John Holdren", The 7th Heinz Awards, accessed January 2009. "The Energy Innovation Imperative: Addressing Oil Dependence, Climate Change, and Other 21st Century Energy Challenges", Innovations journal, Spring 2006, Volume 1, Number 2, Pages 3-23. John Holdren, "Climate Change: The Sky Is Falling. An Interview", Bulletin of the Atomic Scientists, Volume 63 Number 1, January-February 2007, pages 40-45. (Not available online). John Holdren, "Energy and Sustainability", Science, Editorial, February 9 February 2007, Vol. 315. no. 5813, p. 737. Rosine Bierbaum, John P. Holdren, Michael MacCracken, Richard H. Moss, Peter H. Raven, et al. 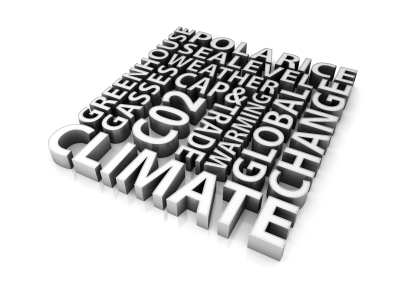 "Confronting Climate Change: Avoiding the Unmanageable and Managing the Unavoidable" Sigma Xi / U.N. Foundation Expert Group Report on Climate Change and Sustainable Development, February 2007. Gil Omenn, John P. Holdren, David Baltimore, et al. "AAAS Board Statement on Climate Change", American Association for the Advancement of Science (AAAS), February 18, 2007. John Holdren (Chair) and co-authors W.K. Reilly, Co-Chair; J.W. Rowe, Co-Chair; P.R. Sharp, Congressional Co-Chair; J. Grumet, Executive Director; M. Tatsutani, Editor; et al, Energy policy Recommendations to the President of the 110th Congress", National Commission on Energy Policy, April 2007. John P. Holdren, John Holdren Speech at the Harvard Kennedy School Forum "Global Climate Disruption: What do we know? What should we do? "], Presentation to the John F. Kennedy Jr. Forum, Harvard University, November 6, 2007. John Holdren, "The Future of Climate Change Policy: The U.S.'s Last Chance to Lead: McCain or Obama can end shameful U.S. foot-dragging and rally the world against climate change", Scientific American, October 2008. Wikipedia also has an article on John Holdren. This article may use content from the Wikipedia article under the terms of the GFDL. This page was last edited on 15 November 2010, at 15:53.